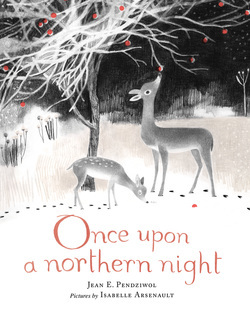 "...one of the loveliest picture books you’ll see all year long." "...destined to join the ranks of winter-themed classics to be reached for year after year." "Once Upon a Northern Night is a breathsucker, a gust of cold winter air awakening the senses." 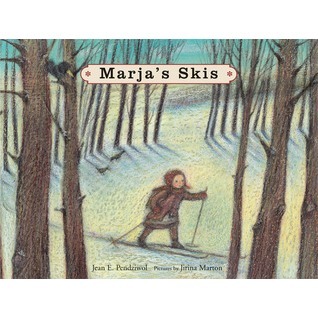 Based on stories that author Jean E. Pendziwol used to hear from her husband's grandmother, Marja's Skis is an engaging children's picturebook set at the close of the nineteenth century, in the Great Lakes region where many Scandinavians settled. 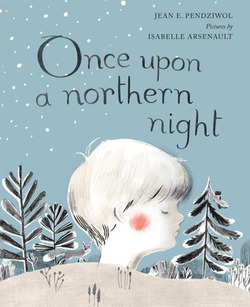 Evocative prose and beautiful illustrations bring this moving tale, set in a 19th-century Canadian logging town, to life. 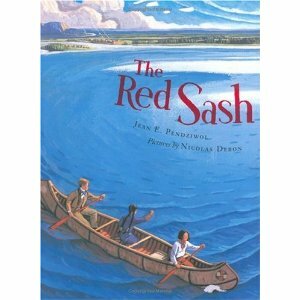 The Red Sash is the story of a young Metis boy who lives near the fur trading post of Fort William, on Lake Superior, nearly 200 years ago. His father spends the long winter months as a guide, leading voyageurs into the northwest to trade with native people for furs. Now it is Rendezvous, when the voyageurs paddle back to Fort William with their packs of furs, and North West Company canoes come from Montreal bringing supplies for the next season. 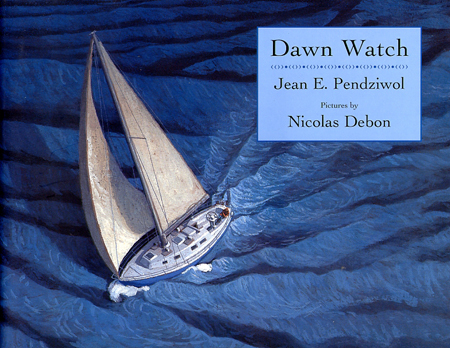 Pendziwol’s engaging text combines with Debon’s vivid and historically accurate illustrations to give an authentic picture of life at a fur trading post in the early 1800s. This lyrical picture book tells the story of a child and her father making a night crossing of Lake Superior on their sailboat. As first mate, the child's job is to watch for ships, lights, land and logs while the autopilot steers the craft. Above, the Big Dipper, North Star, Milky Way and Northern Lights illuminate an inky night sky. And as dawn breaks, the horizon begins to glow and land appears, a black line between sky and sea. Striking illustrations by Nicolas Debon capture the excitement, mystery and beauty of this night-time adventure on the world's largest freshwater lake.